Graves' disease is a disorder of the immune system that causes the thyroid gland to become overactive. It is an autoimmune disorder, which means the body's immune system mistakenly attacks the body's own cells instead of protecting them from outside invaders. In Graves' disease, the body's immune system makes abnormal chemicals called immunoglobulins that stimulate the thyroid gland to make too much thyroid hormone. 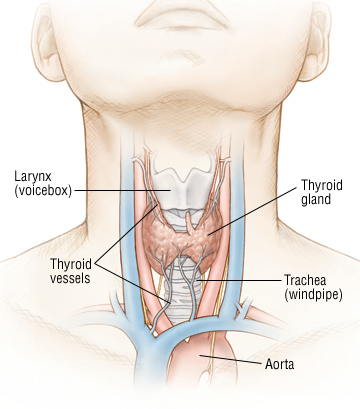 This overactive thyroid state is called hyperthyroidism. Doctors don't know what causes Graves' disease, but the fact that it tends to run in families indicates that the disease may have a genetic (inherited) component. It is possible that the abnormal production of immunoglobulins is triggered by some unknown factor in the environment, and the immune system fails to stop this overproduction because of an inherited defect.